Here at Door 2 Door we monitor every marketing campaign based on our client’s specifications. We wanted to confirm and ensure that all of the flyers we distribute will reach their target audience in the time that has been agreed upon and per your area selection. Therefore we created a GPS mapping tool that shows us the exact location that our distributors have been to. We also have distribution managers who monitor the distribution of the leaflets nationwide. 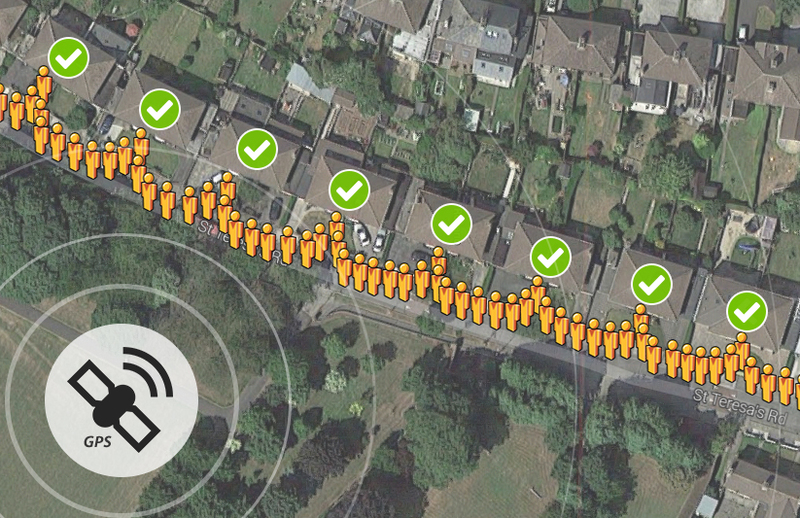 Once the leaflets have been delivered our GPS delivery verification tool will display a map view and a satellite view of a GPS tracking map area, showing all the routes that our distributors have been to.